Wild Dolphins - Pacific white sided Dolphin, British Columbia. past as though on a tight schedule. There are various species of wild dolphins present in every ocean, major sea, and some large river systems around the world. 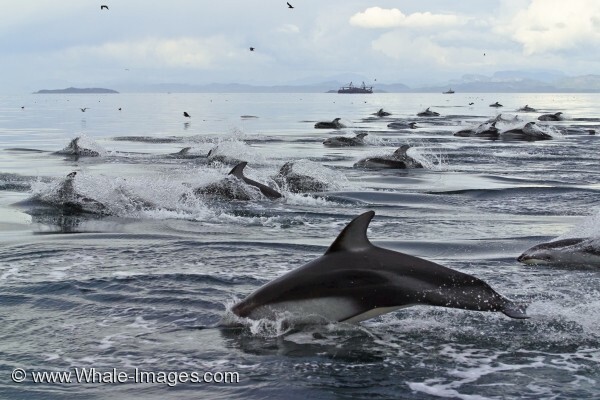 Picture of a very large herd of wild pacific white sided Dolphins in Queen Charlotte Sound, British Columbia, Canada.